Yes, I’m a disciple of JC. Call me old-fashioned but I’d rather watch a man with his heart on his sleeve, than a smug look on his face. The way I see it John Campbell doesn’t ask questions simply for the sport of it or to boost his own ego. Campbell is doing what a good journalist should do – search for answers, uncover facts and honour the story. He is part of a team that has demonstrated a commitment to championing the underdog, to sniffing out corruption and asking some tough questions on behalf of those of us looking for answers. I don’t know John Campbell. Only met him twice, a few years ago. The first was when we bumped into each other in the aisle of our local supermarket. After I introduced myself and we chatted about current affairs and music, JC offered to give me (and my grocery bags) a lift home. I mention this incident only as proof that yes, Campbell is indeed Mr Nice Guy. But that was a while ago now. And over the last couple of years, I’ve tuned into Campbell Live nearly every night. I watch the first half of the news, and while the sports bit is on, I sort my daughter out with a bath or kai. Then I settle down with my cup of tea and JC. Unfortunately there’s no people-meter in my house to tell you that. Some stories stick. Even on Wednesday, while pondering how much would be too much to drive, my friends and I referred to a story by Lachlan Forsyth. He and three of his workmates conducted an experiment with alcohol and driving in 2013. Then there are stories about ordinary people like ‘Evan with the teeth.’ We met him in 2011, helped raise $180k towards correcting his teeth, and his sister’s, and four years later we’re still watching them transform. Remember Pera Te Amo, the Christchurch subbie? When Pera was owed money by a lead contractor, and was therefore unable to pay the wages of his own crew, he lost it. 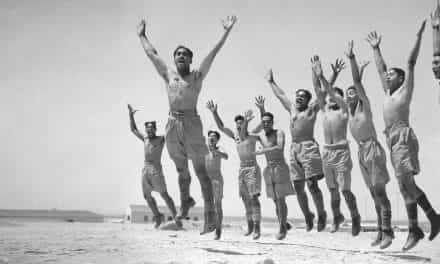 He dug up the car park that he and his men were meant to be finishing. 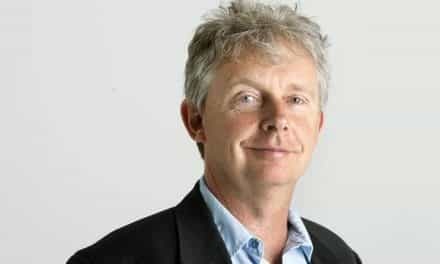 Five months later when the High Court judgment came out, reporter John Sellwood went back to Pera. And that’s what I really like about Campbell Live. While everyone else goes on to the next sensational something, this lot are a dog with a bone. They keep going back, whether it’s a big story or a small one. Over the last four years, they have consistently reminded us that Christchurch isn’t fixed and that there are real humans still struggling with stuff the rest of us take for granted. When they gathered Christchurch locals into a hall before Christmas, John Campbell invited each person to hold up placards identifying whether they were still at loggerheads with EQC or insurers. As an Aucklander relaxing in my nice, warm and safe home, it was such a powerful visual. I welled up. And I remembered to still care. I like how the programme tackles other big issues too such as synthetic highs, the GCSB and, only this week, Zero Hour Contracts – and I like how JC has never been shy to ask hard questions of business and political leaders, including John Key. One of the most memorable interviews for me was watching him trying his best not to lose it with Simon Bridges. 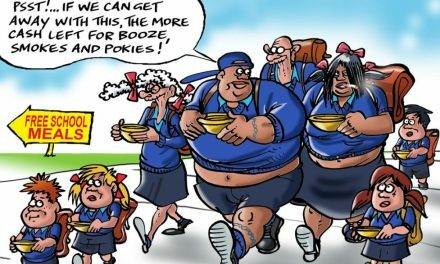 The show has run campaigns to fill school lunchboxes, to raise funds for various tsunamis and disasters, even to get the All Blacks to Samoa. It’s given us a chance to do something practical right there and then, from the comfort of our living rooms. I like that too. But, according to Mediaworks bosses and the 600 people-meters, not enough people do. “We put news on, but only because it rates. And we sell advertising around news. This is what this is all about,” says the Mediaworks Chairman Rod McGeoch in the NZ Herald. Wow. Think about that. It’s quite a statement. However there’s been no suggestion that any key advertiser is going to pull the plug. The rumour is that the current affairs programme will be replaced by either a Jono and Ben kind of show or a new local soap to be possibly produced by Eyeworks NZ. This was a company that Julie Christie built up and was a part of until she took on the role of executive director of Mediaworks NZ. Often described in the media as the Queen of Reality TV, Julie Christie is one of New Zealand’s most successful producers. Her influence extended to Treasure Island, DIY Rescue, The Block NZ, The Bachelor, X-Factor, Dancing with the Stars and Masterchef. She has even successfully exported her formats offshore. What is the ‘reality’ behind the proposed demise of Campbell Live? If John Campbell isn’t allowed to grill his own bosses, who else will? Mediaworks NZ is a private company and New Zealand’s largest independent broadcaster, beholden to no one but its shareholders. It owns TV3, TV4 and around 18 radio brands across NZ. There’s something a little bit creepy about that. While print journalists and commentators will continue to investigate the real reasons behind the proposed axing, it’s unlikely that Paul Henry or any of the Radio Live journalists will interview their own bosses on the subject, or even be allowed to mention it on air. I’d really hate to see such an award-winning team go – or even worse, morph into a dumbed-down version of its former self. As an old-fashioned TV viewer, I’d like to see the Mediaworks Chairman (Rod McGeoch), the Executive Director (Julie Christie) and the CEO (Mark Weldon) undergo a little ‘unscripted television’ reality themselves. Answer some questions. It’s time to get some ‘brown’ on the job. Native Affairs and Media Take? You’re on. Absolutely – can’t be better said! Kia ora Mana, Well said, the evenings news will not be the same without John Campbell’s input on current affairs in New Zealand. John Cambell needs to carry on the good work! Keep John Campbell on. I totally agree with your enlightened article. Before we know it we will be getting not only reruns of terrible US ‘comedies’ and mindless violence but also be watching US current affairs programmes. Wait, we already do! The vast majority of what we are shown either on free to air or cable is literally just re-beamed from the US. I know because I was just in the US and thought that I must have brought my Sky subscription with me, it is the same! Apart from the odd NZ gem like Campbell Live. I think he has already had to compromise enough, and tries hard to be everything to everybody as a small media market like NZ demands, but, it is the best we have. New Zealand needs to really wake up, if is far worse in this regard than any other country I know, and I work abroad a lot. Media in South America is light-years ahead. I am in Mexico now where there are current affairs channels. Chile’s media is lively too. Even media in Singapore is more detailed, although muzzled. But, be honest, ours is muzzled too, by the kinds of relations you mention. Media in the Pacific Islands is no worse than ours. Current affairs in Fiji although emerging from dictatorship is nationally-focused. It really is a national embarrassment and the notion that we are a progressive country with strong opinions is really not true – it is a myth to keep us under the media transnational spell. We are sleepwalking to having no critical media at all and being a cultural colony of Warner Bros, Disney and Rupert Murdoch. The only channels and blogs worth reading are those with a Maori focus, like Maori TV and of course this one. It is a national shame. Warwick Murray, VUW. 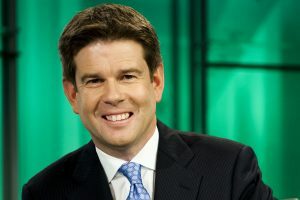 Our evenings after the news will not be the same without John Campbell’s input on current affairs in New Zealand. We trust he will stay to carry on the good work! The sharing of our country’s wealth has become worse every year since the early 80s (Rogernomics / employment contracts act) and now our society has become a copy of ‘mighty America’ – heaven help us! We used to battle against unfairness in all its guises – but now the bosses have the upper hand and National are privatising and corporatising NZ we need a Champion of the people. It used to be union leaders or Labour MPs – but they don’t stand up like JC does for those of us with the ‘arse out of our trousers’. No wonder the Big Wigs want to see him go…. JC is probably the best journalist we have in this country. His show is amazing. I never miss it. Cant help but think there is definitely some government intervention here. Please save this amazing show. I would follow JC to any channel he went to with the show he currently has. Social concern, activism in the now, challenging the comfortable, following up; all fabulous, conscience-based journalism for Aotearoa. 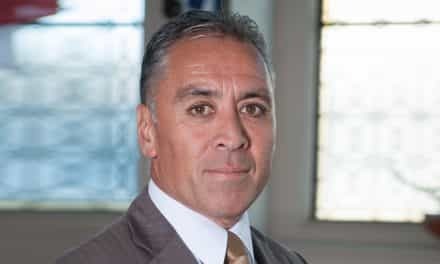 JC is a fearless and very balanced journalist who asks some very tough questions in trying to dig up dirt and expose corruptions in politicians and all other big guns both in nz and other govts, and I believe 100% there is a powerful wicked voice behind the decision to silent this justice-seeking man. If there is no more Campbell Live, I rather get a good book to read than wasting my time watching some silly comedians that will only make my mind dirty and no use at all. The saddest thing is, I always placed TV3 as better than TV1 as it’s first priority was on quality but its very obvious now that is starting to drift to the quantity regardless of the stupidity of its program. How saaad!!! Thankyou for speaking out Moana. I too greatly admire John Campell the man -on and off camera. He is a decent chap- left his comfortable taxi, meter running, to stay with a motorcyclist as he lay dying at an accident scene. Took guts to stay till the end. 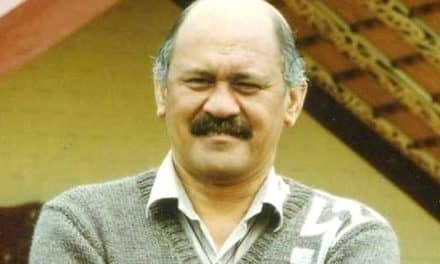 On screen his genuine highly tuned sense of integrity humility and humanity has given New Zealanders a regular glimpse into what responsible media actually looks like. 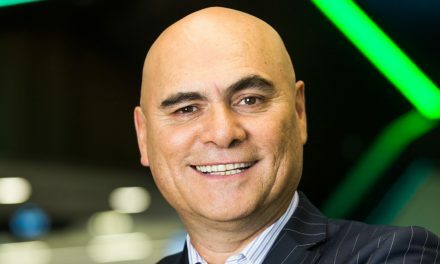 His show has become almost a trademarked flagship for these values that resonate so strongly with kiwis. I suggest that many New Zealanders are outraged by the potential axing of The John Campbell Live Show because we see it as yet another attack on our cultural belief of what makes NZ and its people special. I think it is important to fight vigorously to protect any fellow kiwi and their team who actively demonstrate the values we want to see more of in NZ. Mediaworks would be advised to tread carefully here. 1/ Removed the TVNZ charter replacing it with a market driven format so only certain viewpoints need to be told. 3/ Employed market driven board, CEO and laterly staff to meet the ‘New” direction. 6/ And now a suspicious ‘Steven Joyce” motivated attack on Campbell Live????? Hmmm ” People should not be afraid of Governments. Governments should be afraid of the people? But are they? There is only a few honest presenters now jc is de finitely one wonder what’s cooking with them puppets that makes decisions to axe his show switched channel now. sounds like a bit of Silence of the lambs. More like government control these people hate to be kept in checked or tsken to task. John Campbell is a pain in the backside for some people. That is why he is being axed. That is why we need him to stay. If nobody challenges the bad stuff that goes on, nothing will change. The only people who will benefit from that are the people for whom he is a pain in the backside. NZ News is pretty awful when it comes to in-depth interviews and critical analysis, but without John Campbell, it ceases to exist. Im sick of reality programs john campbell live is as real to me as it gets…i want to know whats going on in our country . You say you want to know what is going on in your country, but that is the very thing this government don’t want you to know. They want to be free to do whatever they want, when they want because you are only there to keep the country working and pay their salaries and other than that they don’t give a rats arse about you, and of course once John Key has given the Multi Nationals free reign in NZ the last thing they are going to want is good journalist investigations. NZ is lost, the country we all knew and loved is no more and all thanks to “Americas Boy Down Under”, wonder what John Keys reward will be by selling NZ to the biggest market rip off artists in the world. What MediaWorks is saying to me is that narcissism is a virtue (The Paul Henry Everywhere Show,) and criticising the government is a no no. Could it be the $NZ43m bailout? Could it be that Mark Weldon is another corporate hua? Or maybe it’s just that Julie Christie is out of touch with reality (hey, it’s a job…) Reminds me of a song, “Dead Skunk in Middle Earth, Stinkin’ to High Heaven. Save Campbell Live, dump Paul Henry, and FJK. Whenever there is an injustice we all offer advice…. TAKE IT TO CAMPBELL LIVE!! 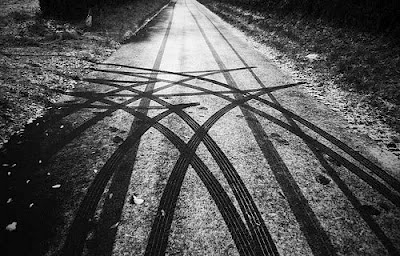 !….where will we go? John Campbell has not only kept the issues facing Christchurch alive but also issues facing teachers and support staff because of Novapay, and other issues facing ordinary everyday New Zealanders. With out him on air we lose a voice that speaks up against what’s not right in our country. You are SO right Laura, they really got stuck into the whole sorry Nova-pay mess. 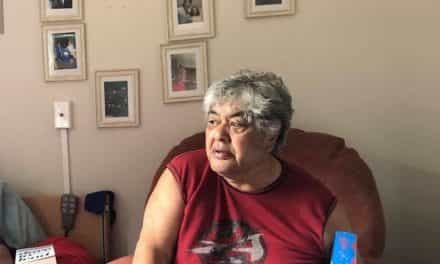 Kia ora Moana, a good article. The reason given by Rod McGeoch for the review was that it’s not commercially viable [or words to that effect]. But A Post from Campbell live today said they actually make a profit. So if that’s right what’s the real reason ”someone” wants Campbell live binned. You decide for yourself but I know a certain round building in Wellington that might have been involved! Exactly. Mr McGeoch suggests that ratings are used to attract advertisers & their dollars. Are Mazda threatening to pull out of advertising? Is Campbell Live making a loss? If neither are the case, then where’s the rationale for killing the show off?! I really think this is a gagging order straight from the top. JC has a certain honesty that is few and far between when it comes to raw unscripted journalism. Basically he seeks the unbiased truth in everything he covers and in my opinion this is the reason he is getting shutdown. I agree totally. Makes you wonder what is in the pipe line for kiwis if they are getting rid of Campbell. 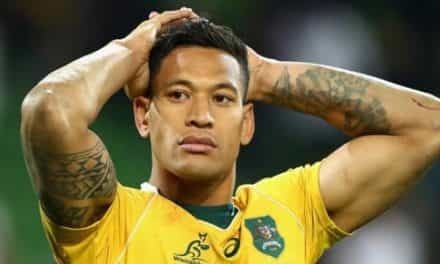 I hope Maori TV snap him up too. I support Campbell Live! Why are you even considering substituting ‘real’ for ‘a bit of a laugh’! Just replace the ads with your clown faces Julie! We (the important people – remember!?) get to laugh,…..and then reality with JC can inform us again about the real stuff that’s happening around us. Yes,…..some of it no doubt will be about you too! But that’s what we love,……TRANSPARENCY!!! And THAT’S why I watch Campbell Live! Trust, Honesty and Concern from the bottom up,……because we don’t get it from the top down! !